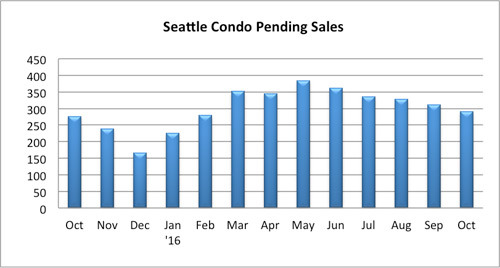 The Seattle condominium market continued to perform well with October exhibiting strong sales volume and higher median sale prices. 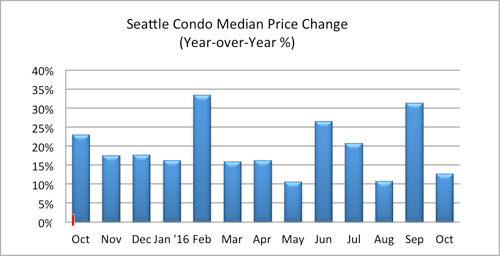 The citywide condo median sales price was $415,000 in October, increasing 12.77% year-over-year. It faltered 12.6% from the prior month but that’s to be expected as the higher valued new construction units have sold out, as well as the cyclical end of the year dip. In October, new construction closings at the two new luxury towers, LUMA and Insignia, accounted for 15.6% of closed sales compared to 37.2% in September. 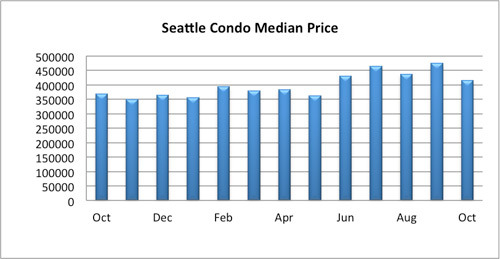 With fewer high-priced units closing last month the median point trended downward. 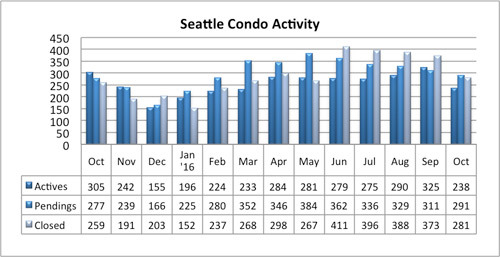 The number of active Seattle condos for sale dropped rather significantly to 238 units last month, reflecting a year-over-year and one-month decrease of 22% and 26.8%, respectively. 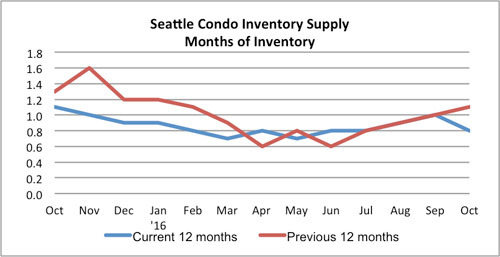 As there were fewer units for sale the inventory supply rate reduced to 0.8-months of supply. 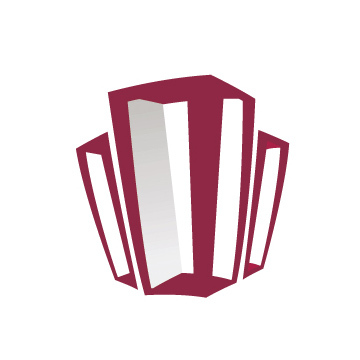 The inventory supply rate is used to gauge the market condition. 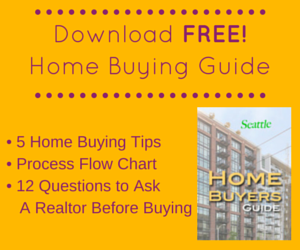 A supply rate of less than 3 months is considered a seller’s market, between 3-6 months a normal market, and more than 6 months would be a buyer’s market. 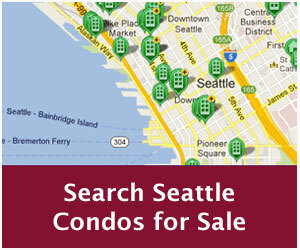 Seattle has consistently remained a seller’s market since 2012, and that’s not going to change anytime soon. With the 870 units at LUMA and Insignia all but sold out, there are now three small condo buildings actively under construction, but they will only add 145 units over the next 2 years. The next major condo project in the pipeline, Nexus, that’s yet to break ground is not expected to be completed until 2019/2020. Additionally, a handful of other projects in the works downtown, First Hill and the U-District are still in the planning stages, that are 2-3 years out as well, provided they ever get off the ground. Compared to last October the number of pending sale transactions (listings with accepted offers) improved 5% to 291 units, though it reduced 6.6% from the prior month. The number of closed condo sales reflected similar results with 281 units, an increase of 8.5% year-over-year while dipping 24.7% from September, which had been buoyed by closings at LUMA. The sales activity slowdown is typical given the seasonality of Seattle’s housing market with sales tapering off at the end of the year due to weather and the holidays. 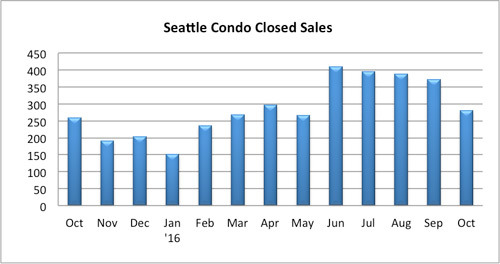 Closing out the year we’ll continue to experience reductions in inventory, sales volume and median sale prices.